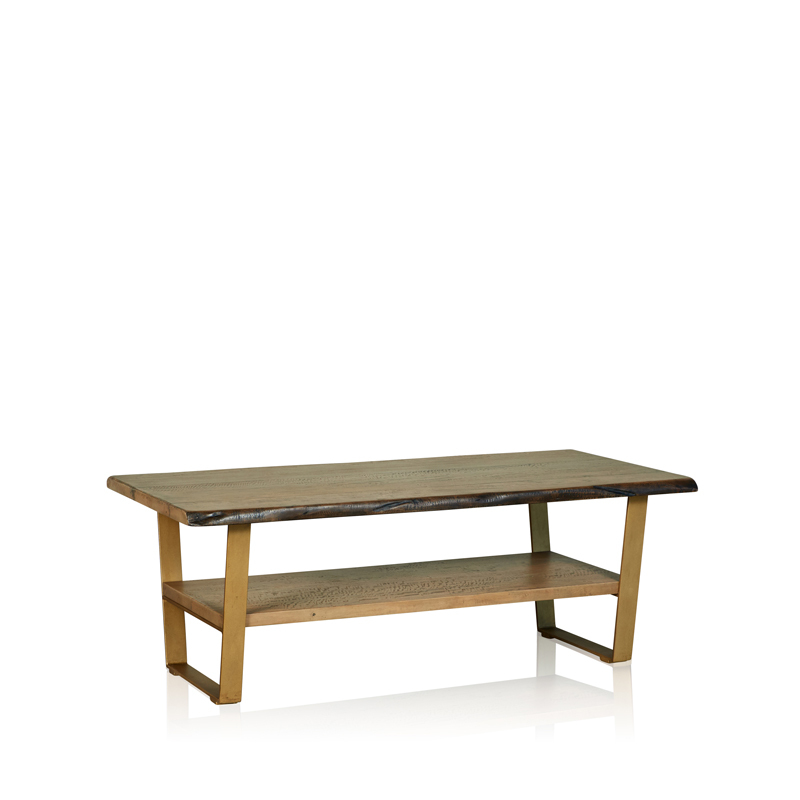 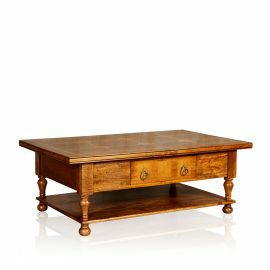 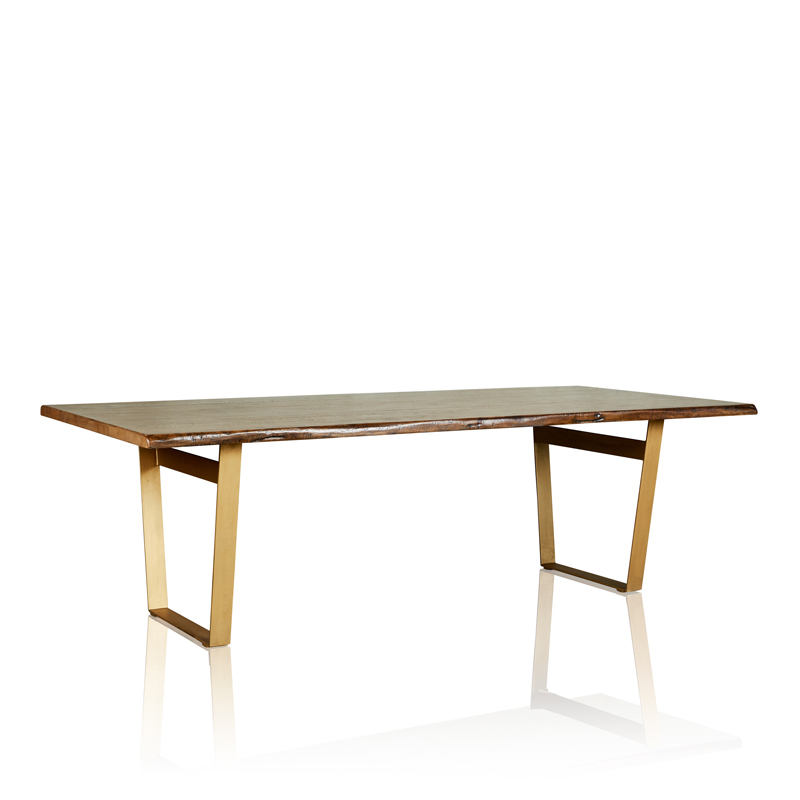 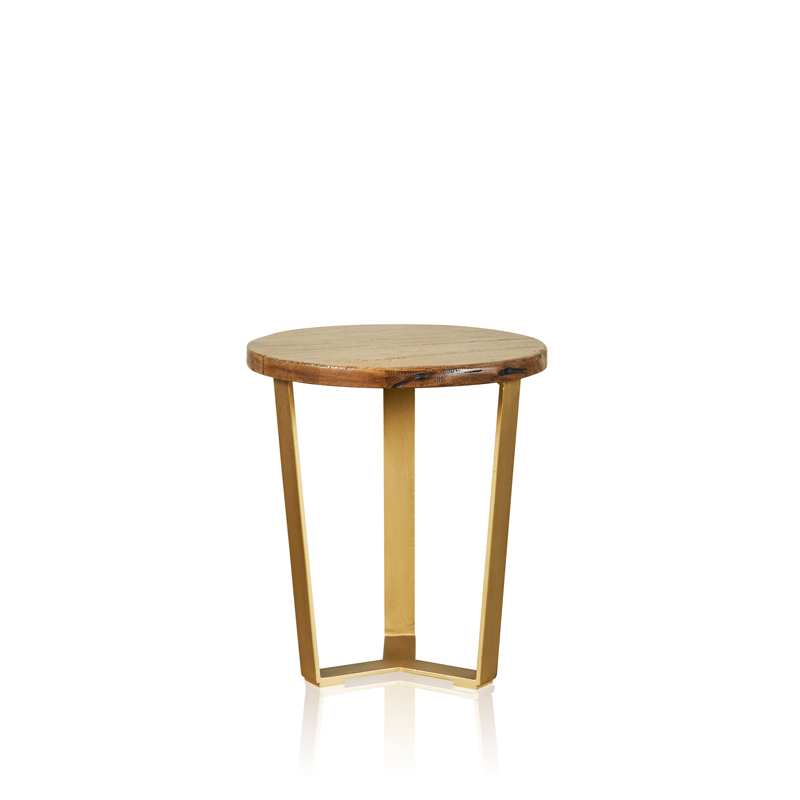 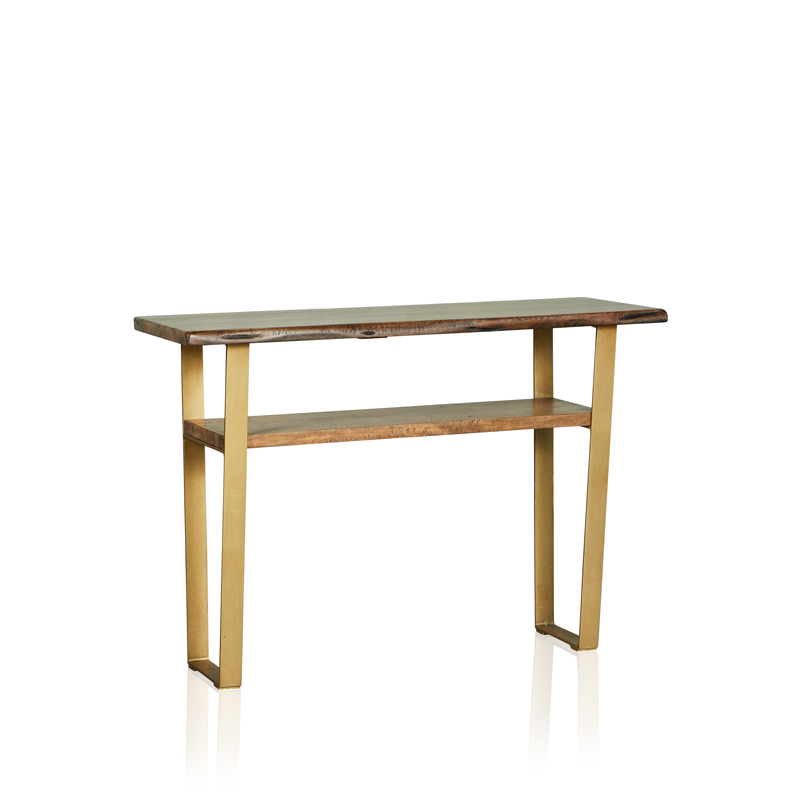 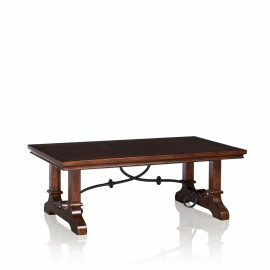 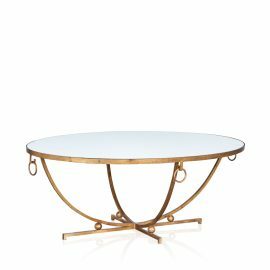 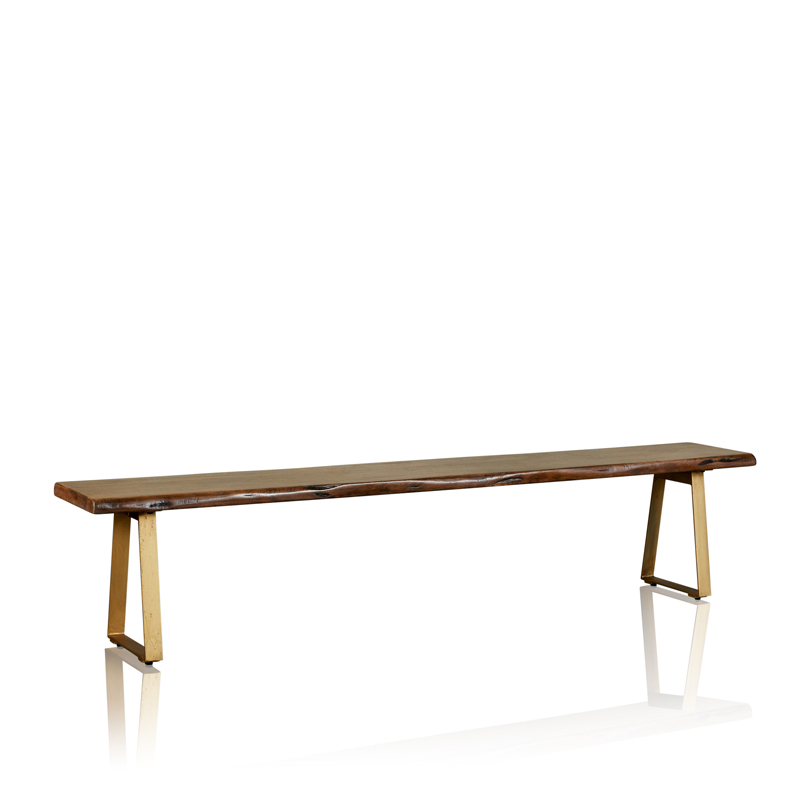 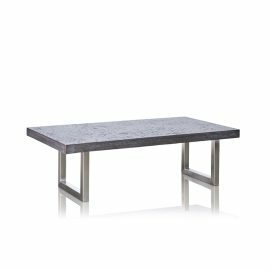 “Soho Collection” Coffee Table Handcrafted in Fruitwood, Paired with a Contrasting Polished Brass Base Enhancing a Contemporary Design. 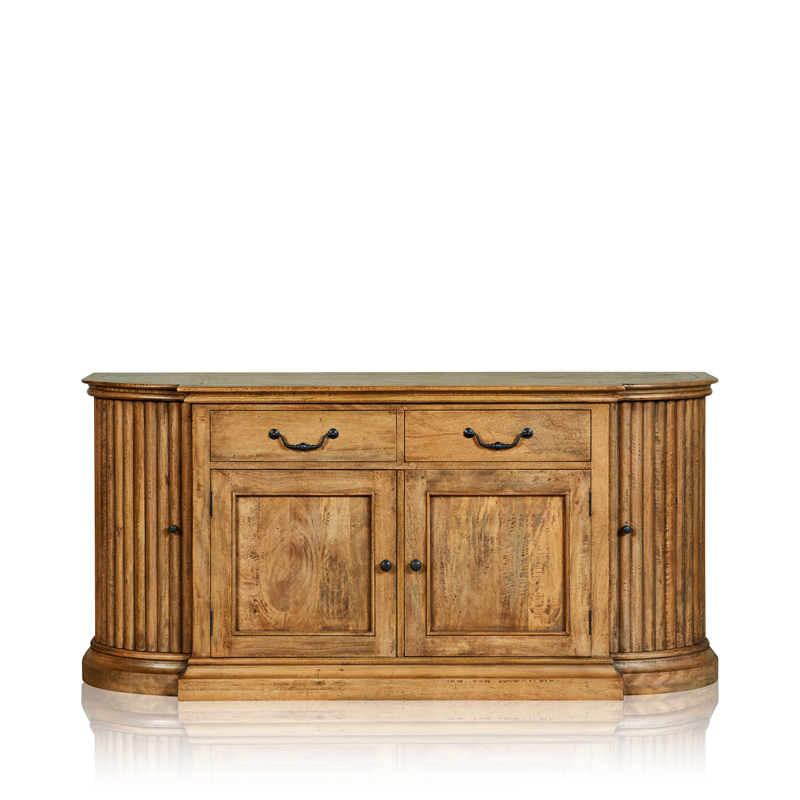 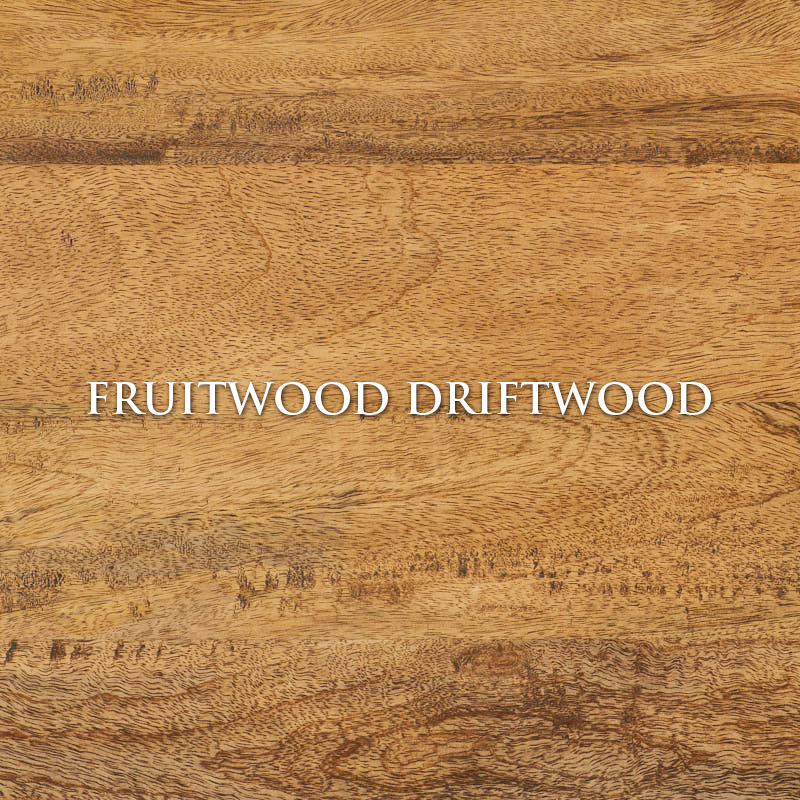 Featuring a Top & Shelf with Rustic Lines & a Smokehouse Distressed Finish. 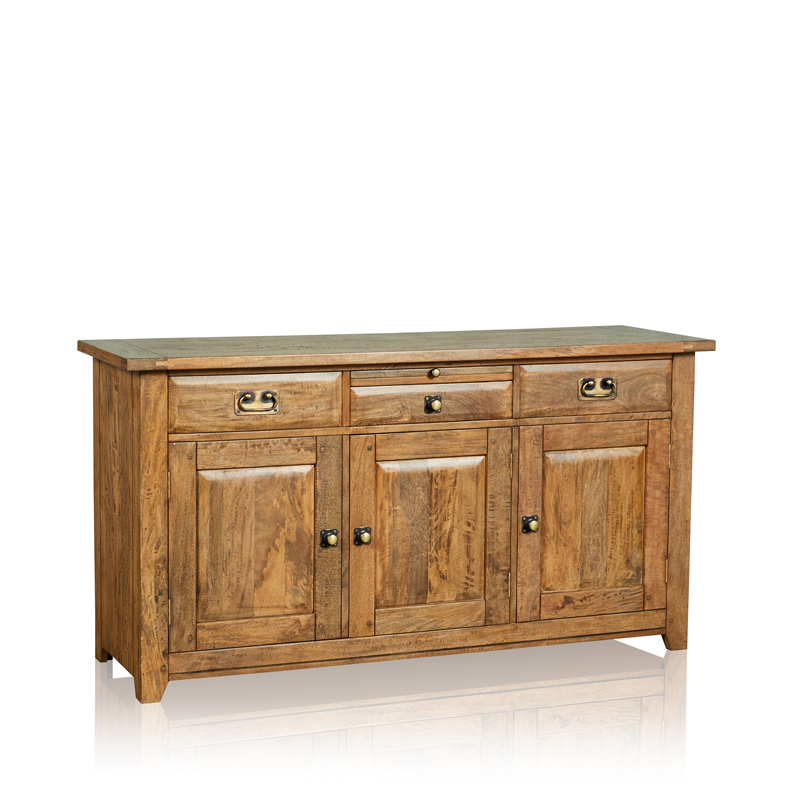 Includes a Wall Mount Attachment.